Great question! It’s not something you've heard a lot about before, but this procedural move is having its moment in the sun this year. 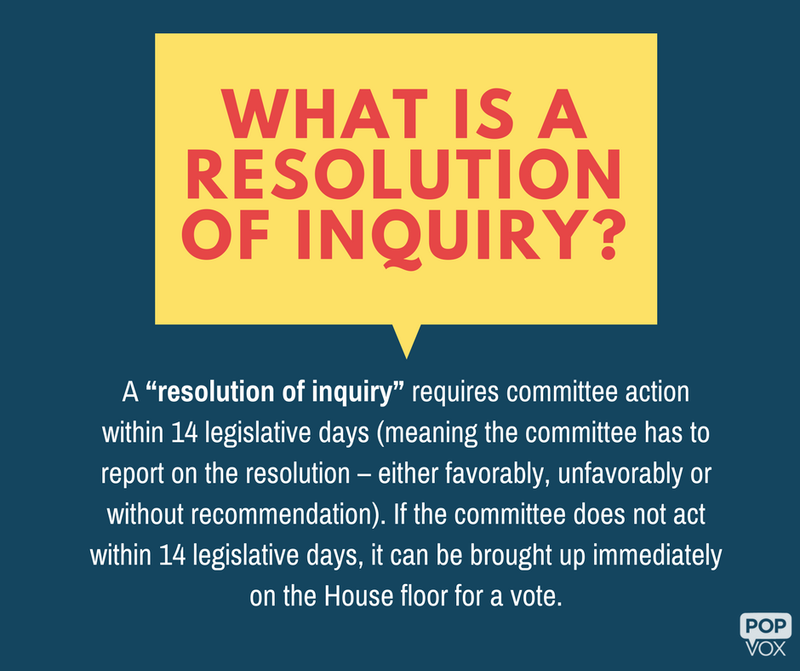 A “resolution of inquiry” requires committee action within 14 legislative days (meaning the committee has to report on the resolution – either favorably, unfavorably or without recommendation). If the committee does not act within 14 legislative days, it can be brought up immediately on the House floor for a vote. So far, House Democrats have forced committee votes on several resolutions of inquiry on a variety of topics. The resolutions call on the Trump administration to provide certain documents – from the president’s tax returns (Pascral resolution) to documents related to the repeal of the Affordable Care Act (Kennedy resolution).